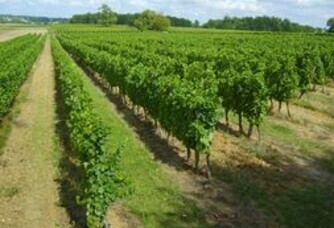 The vineyard is located in the Cognac appellation area. It is established on clayey-limestone and sandy clay soils, on the "Petite Champagne" and "Bons Bois" crus. 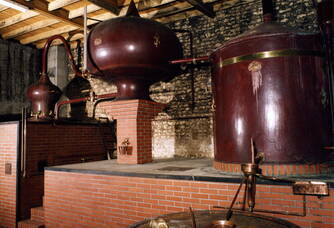 18 hectares are used for Cognac production, one hectare is reserved for Pineau and seven hectares produce Vins de Pays... 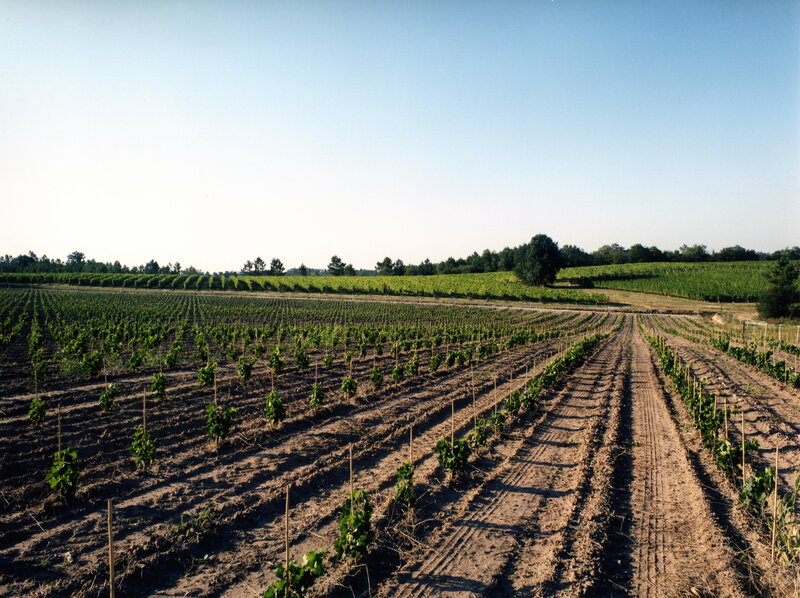 In some places, our Bons Bois soils are composed of over 300 hectares. 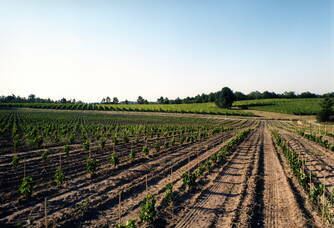 The vineyard is located in the Cognac appellation area. 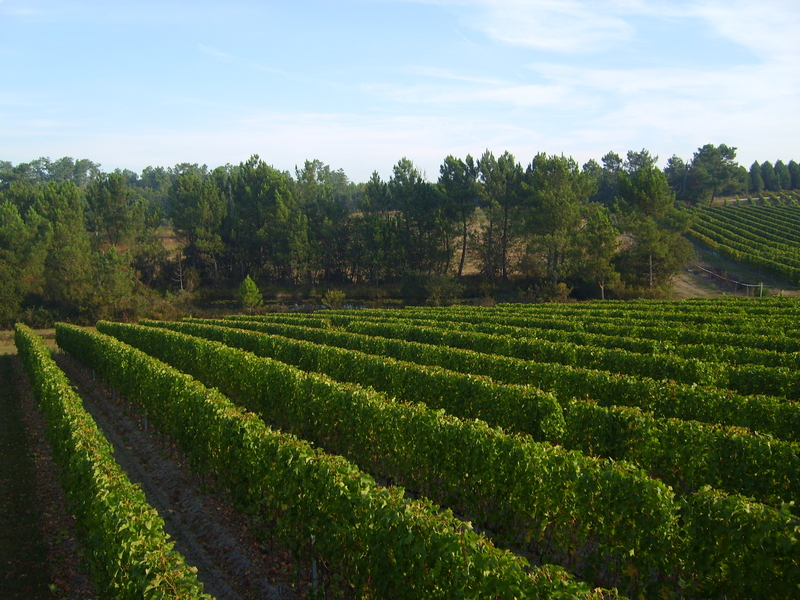 It is established on clayey-limestone and sandy clay soils, on the "Petite Champagne" and "Bons Bois" crus. 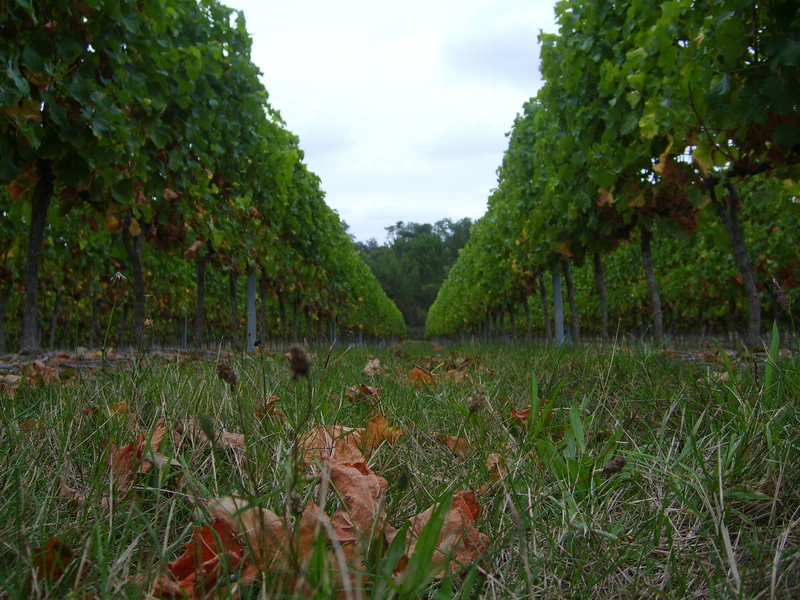 18 hectares are used for Cognac production, one hectare is reserved for Pineau and seven hectares produce Vins de Pays.in places, our Bons Bois soils are composed of flint clay surfaces. Elsewhere, silt and sand deposits of varying thickness covered the limestone. In these advanced soils, clay has accumulated in depth to form an impermeable layer that makes the soil sensitive to excess water. 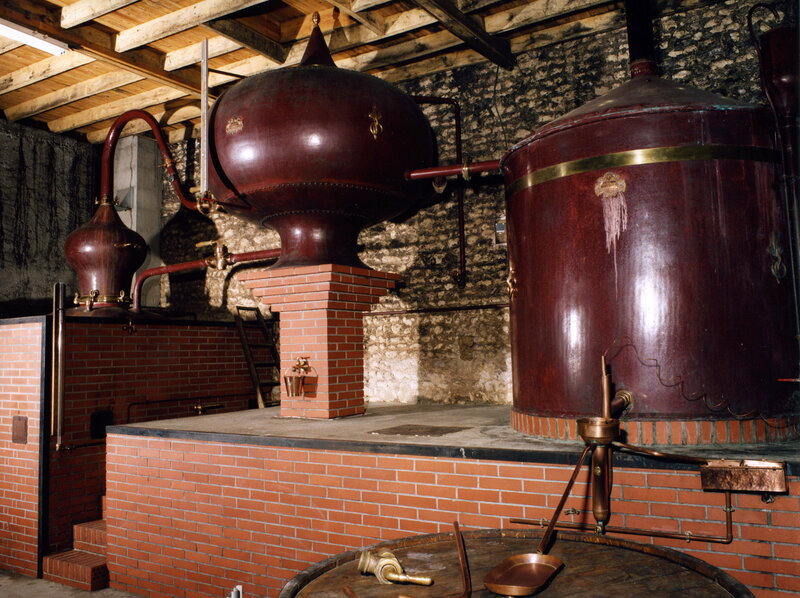 The grape varieties used for Cognac are Ugni-Blanc, which is a high-yielding variety very popular for producing eaux-de-vie, and Folle Blanche, a grape variety recognised by distillers since the 17th century for its finesse and fragrant nose; for Pineau, it is an old grape variety originating from Charente Maritime, Montils, which is less and less cultivated and is used. Finally, for the Vins de Pays, two red grape varieties that are emblematic of Bordeaux are used: Cabernet-Sauvignon, which thrives in our sandy clay soils, and Merlot, which is very well adapted to our climate and terroirs and is found in the most legendary wines. As well as two white grape varieties: Sauvignon, known throughout the world for its structure, freshness and minerality, and Colombard, one of the oldest Charentais grape varieties, initially used for Cognac, it gives the wines freshness, finesse and acidulous notes. 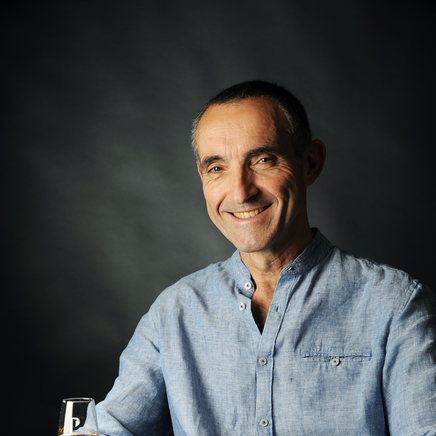 The Charentaise wine-growing region is known to everyone as the cradle of Cognac and Pineau, but very good wines are also produced there.After two generations who have devoted the entire vineyard to the production of this famous eau-de-vie, Denis and Vincent BENOIT, who are also passionate about Pineau and still wines, have decided to set up new vines in these terroirs, which have many similarities with the Bordeaux region. 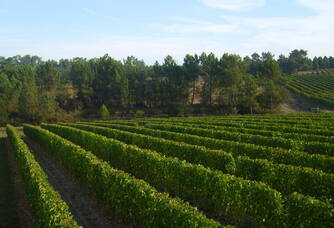 It is only natural that they have planted Merlot, Cabernet Sauvignon and Sauvignon to produce excellent Vins de Pays. These are complemented by Colombard, which is a very old Charente grape variety, used mainly to make Cognac or Pineau, but which also makes it possible to produce very interesting, slightly acidic dry white wines with grapefruit notes. 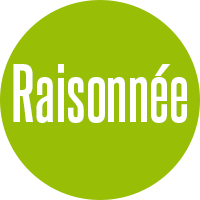 today our wines and Pineaux are regularly rewarded in guides such as "Le Guide Hachette des Vins" or "Un Vin Presque Parfait" and in competitions such as the "Concours Général Agricole" or the "Challenge International des Vins". 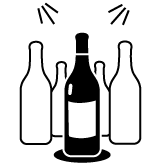 The protection of the vineyard is based on a reasoned technical itinerary, which assesses the risk before any intervention and favours the choice of products that have a limited impact on man and the environment. The density of the plantations, the choice of rootstocks and the pruning method make it possible to control yields in order to bring the grapes to optimal maturity. 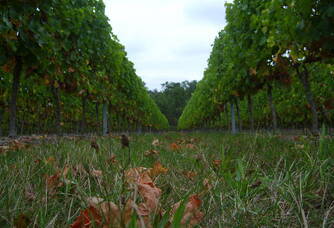 leaf-thinning and green harvesting are carried out each year in order to homogenize the quality of the harvested grapes. 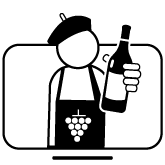 vinification carried out in stainless steel tanks under controlled temperature allows the production of fruity wines, easy to drink, renowned for their quality.